“Rap queen” Nicki Minaj and Cardi B’s rocky relationship exploded into a physical altercation during a party for New York Fashion Week Friday night, police sources said. The two rappers were attending the Harper’s Bazaar ICONS party at The Plaza Hotel when a fight broke out about 11 p.m., according to NYPD sources. Nicki Minaj attends the Harper's BAZAAR "ICONS by Carine Roitfeld" party at The Plaza on Sept. 7, 2018 in New York. 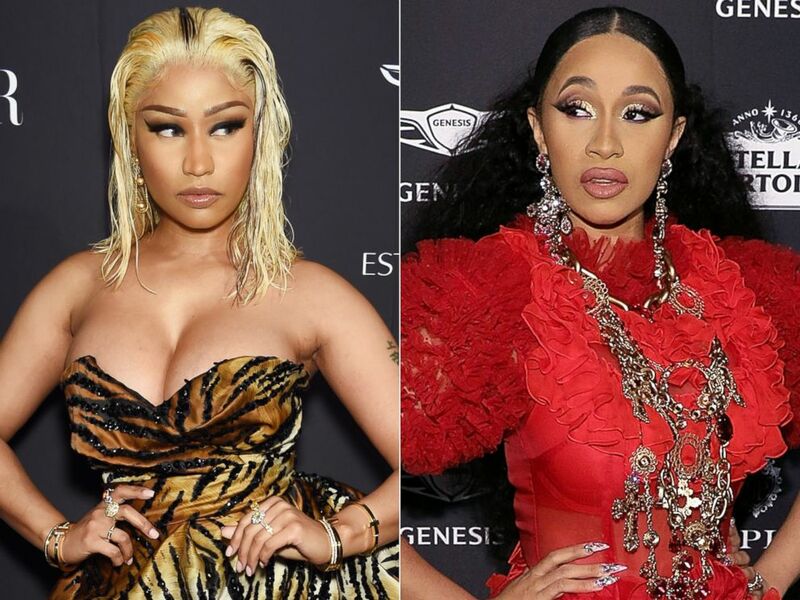 Although it’s unclear what prompted the altercation, a witness told the Associated Press that it began toward the end of a conversation Minaj was having with another person, when Cardi B attacked Minaj. Minaj's security guards quickly jumped in. Videos circulated online following the incident, including one showing the “Bodak Yellow” rapper lunging toward a group of people while swinging her fists before being held back. Another video showed her throwing a shoe. It’s unclear from the videos if Minaj, who was wearing a tiger print gown and had bleach blonde hair, was even there. 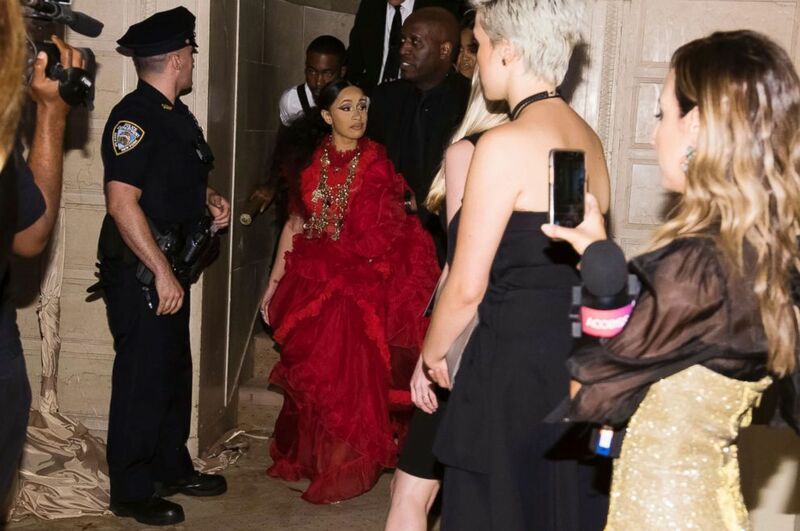 Shortly after the incident, Cardi B was seen being escorted out of the event by security barefoot and with a golf ball-sized bump on her forehead. Cardi B was on the scene when they arrived, sources said, and she did not want to file a report. Pictured (L-R) are Nicki Minaj and Cardi B at the 2018 Harper's BAZAAR ICONS Party at The Plaza Hotel on Sept. 7, 2018 in New York City. Following the dispute, Cardi B posted a message to Instagram, where, without mentioning Minaj by name, she seemed to speak about why the fight started. “You’ve threaten other artists in the industry," Cardi B wrote, suggesting that Minaj discouraged artists from working with her. "I addressed you once in person, I addressed you a second time in person, and every time you copped the plea!! "But when you mention my child, you choose to like comments about me as a mother, make comments about my abilities to take care of my daughter is when all bets are f----- off! !” she added. Cardi B, with a swollen bump on her forehead, leaves after an altercation at the Harper's BAZAAR "ICONS by Carine Roitfeld" party at The Plaza on Sept. 7, 2018 in New York. The pair has been pitted against each other ever since Cardi B’s “Bodak Yellow” hit Number 1 on the Billboard Hot 100 chart in September 2017, making Cardi B the first female rapper since Lauryn Hill in 1998 to hit number one without the help of any other credited artist. Minaj broke her own record in 2017, surpassing Aretha Franklin for having the most Billboard Hot 100 hits of any female artists, at 76 entries.